Our zeitgeist on the subject of curtain tie backs is about to change. Stop what you are doing and take note as the history is being made by the likes of Sahco, a German home furnishings design house and its French rival Wemyss Houles. Until the later part of the 16th century, curtains were practically non-existent as internal wooden shutters protected the occupants from the cold and shut out the light. When curtains finally appeared, they were basic single fabric pieces hung on wrought iron rods, which did not require any tie backs. Paired curtains remained rare until the end of the 17th century when architectural design of windows demanded symmetrical window treatments. They became a status symbol and decorated grand windows in the best and most fashionable houses in England. From there on we became heavily dependent on tie backs to finish off the look of the curtains as well as serve a practical purpose. The styles developed, became more ornate and more diverse in the materials that are used to create these interior decoration elements, which up till now could be split in to two categories. A category "soft furnishings" would include tie backs made of stiffened fabric, rope tie backs, rushed designs, with tassels and pendulum designs. The tie backs made of metal or glass are widely known as hold backs and belong to "window hardware" category. You would think this is where the history of the tie backs ends. But you would be wrong. The forward thinking design teams at Sahco and Wemyss Houles were working zealously to create styles that would require a new category of tie backs to give them a place in the history. The latest designs are thoroughly modern and ambitious in the materials used. We are already familiar with the recent appearance of Swarovski crystals decorating tie backs with lush tassels. This however is a different bread of tie backs. No tassels were used in creating these spectacular pieces. 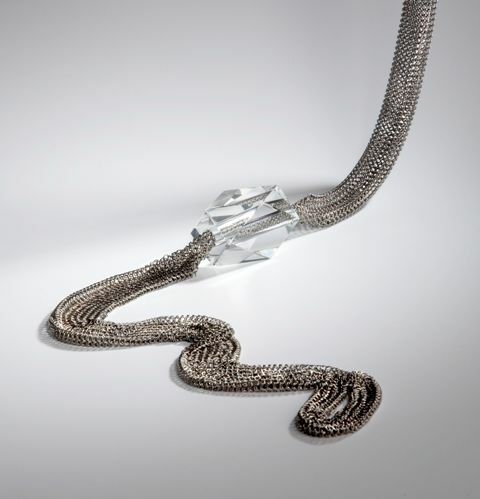 Instead, think Avant-Garde, think chains and chain mail, snake skin and suspended sculptural pieces, which could be mistaken for jewelry or fashionable belts. For a while now we didn't use any curtain tie backs if we wanted a contemporary look. Now it seams that these new tie back designs are a “must have” to achieve a modern look. At “Art of interiors” in Hale, you will receive help on any aspects of interior design including the most unique home furnishing products and tie backs that would set your room apart.